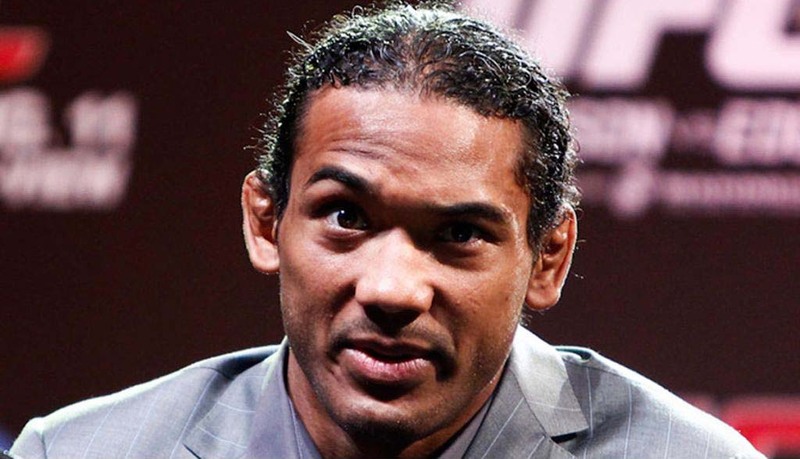 Former UFC lightweight champ Benson Henderson finally broke his silence after losing his belt to rival Anthony Pettis last August. He discussed some of his plans for his return bout and the injury that he suffered following the loss. To his credit, Henderson has not mentioned any excuses or factors that might have affected his performances that night. The former champ just stated some clarifications regarding his “controversial” verbal tap. Rafael dos Anjos believes that he is one win away before getting his first ever UFC titleshot and he wants TJ Grant for that fight. The product of Kings MMA has racked up 5 wins in a row when he outpointed Donald Cerrone last August in the undercard of the Condit-Kampmann rematch. Jon Jones bags the Fighter of the Year at the 2011 World MMA Awards, Strikeforce champion Miesha Tate gets the Female Fighter of the Year award and late renowned Canadian trainer Shawn Tompkins receives a Special Lifetime Achievement award. 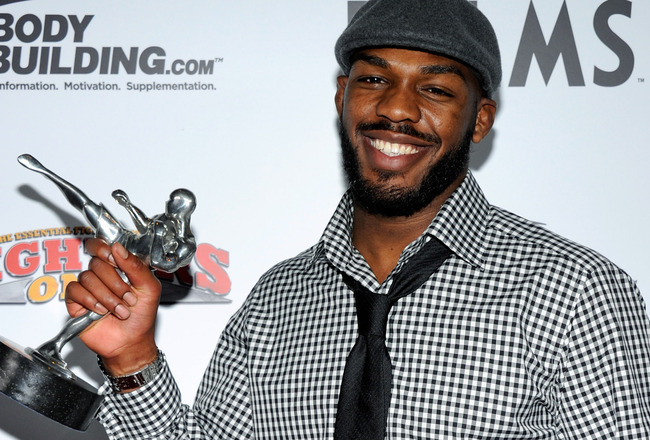 UFC’s light-heavyweight champion Jon “Bones” Jones bags the Charles “Mask” Lewis Fighter of the Year award. One of the highlights of the 2011 Fourth Annual Fighters Only World MMA Awards which took place last Wednesday, November 30th at The Pearl at the Palms Casino Resort in Las Vegas. Ultimate Fighting Championship (UFC) fighter Chael Sonnen and CBS Sports Network’s Molly Qerim hosted the BodyBuilding.com sponsored show. Other highlights include Strikeforce champion Meisha Tate bagging the award for Female Fighter of the Year and a well-deserved Special Lifetime Achievement award for the late Canadian kickboxer and mixed martial artist, Shawn Tomkins. The show which honored achievements from September 2010 to August 2011 will soon broadcast nationally on FOX Sports Net via tape delay on Dec. 11 at 8 p.m. ET/PT (Eastern/Pacific time). Sam Stout was forced out of his upcoming bout against Dennis Silver for UFC 137– which will take place in Las Vegas. 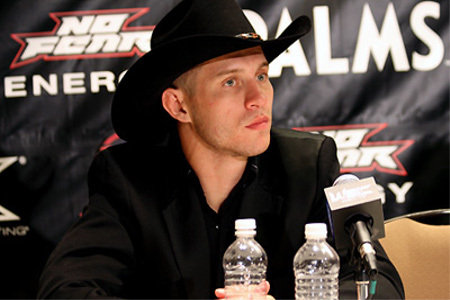 Donald “Cowboy” Cerrone stepped in to replace him. The new match was confirmed by sources that was close to the match-up on Monday. Donald Cerrone might soon give the Miller brothers a run for their money for a fighter who steps in on short notice when someone is injured. The said fight will be the second out of Cowboy’s last three fights, wherein he has stepped in for another injured fighter. Since moving over from WEC to the UFC, Donald Cerrone has gone 3-0 with rapidly improving his skills every step of the way. 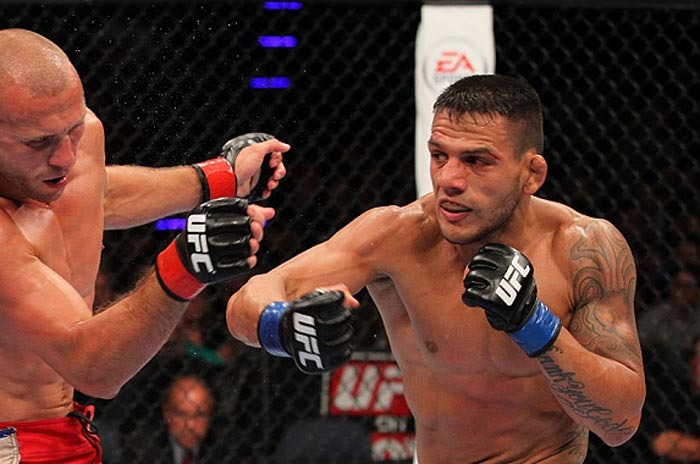 During his recent trip in the Octagon, Cowboy made a short work of his opponent — Charles Oliveira. The latter was defeated during the first round of their UFC on Versus 5 bout in Milwaukee. The Team Jackson fighter will now face a top ten opponent in Dennis Siver, who looks to win his fifth fight in a row this October. Chris Lytle, Dan Hardy and Donald Cerrone were able to get a bonus of $65,000 after their fights at UFC on Versus 5. UFC on Versus 5, which took place in Milwaukee last Sunday night, is filled with finishes and exciting bouts that left UFC officials with some difficulty on choosing the post-fight awards and bonuses. After the astonishing bout between Dan Hardy and Chris Lytle, it was almost easy to think that the two would be the Fight of the Night. Chris Lytle had difficulty in facing his opponent, but he was still able to manage to end the fight with a submission — earning him the Submission of the Night. He had earned $65,000 each for his two awards, and earned a 2012 Softail Blackline motorcycle from Harley Davidson for his victory. On the other hand, Dan Hardy scored a $65,000 bonus for his part in the fight and a promise from the UFC co-owner and CEO – Lorenzo Fertitta- that he will not be released from the contract despite his fourth consecutive loss. Meanwhile, Donald “Cowboy” Cerrone obtained the Knockout of Night bonus, which earned him $65,000, after knocking out Charles Oliveira through a hook punch and a knee. 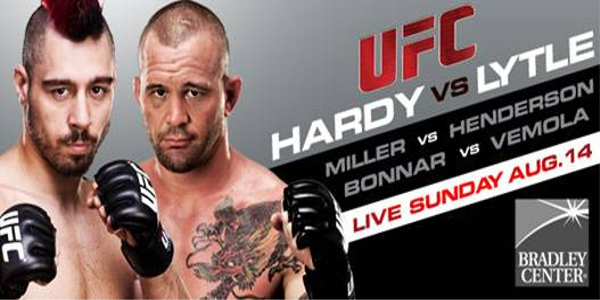 UFC announced that they will stream the preliminary bouts of their upcoming UFC on Versus 5 on Facebook for free. UFC officials announced that UFC on Versus 5: Hardy vs Lytle will stream eight of its preliminary matches for free on its official Facebook Fan Page. This move – which will begin on Sunday, August 14, at 5:45 p.m. ET – will give UFC fans a chance to watch the entire event as if they are inside the arena. While the Dan Hardy vs Chris Lytle bout will be in the main event, the rest of the card fills out well. Check the full card after the break. 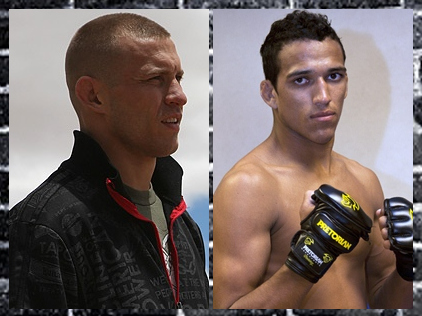 After replacing the slots of John Makdessi and Paul Taylor on UFC on Versus 5, Donald Cerrone and Charles Oliveira's bout were moved to the event's main card. The lightweight showdown between Donald ‘Cowboy’ Cerrone and Charles Oliveira was moved to the UFC on Versus 5’s main card matches that will take place in Milwaukee. However, the two fighters are not the original ones that are scheduled for the August card. The original fight was a showdown between John Makdessi and Paul Taylor. But the former had an injury that forced him to pull out from the said match. Then Donald Cerrone stepped in to replace him. Several days later, Paul Taylor was forced out of the bout and the UFC officials get Charles Oliveira to face the Cowboy. Both fighters are widely known for their exciting and non-stop action performance on their every fights, and that’s the reason why the match between them was moved on the main card that will be televised for UFC on Versus 5. UFC on Versus 5 will take place on August 12 in Milwaukee at the Bradley Center. As Canadian fighter - John Makdessi - withdraws from his UFC on Versus 5 match due to injury, Donald Cerrone fills in the empty slot and faces Paul Taylor. After John Makdessi withdrew from his match against Paul Taylor, Donald ‘Cowboy’ Cerrone steps in to replace him for UFC on Versus 5 in Milwaukee. 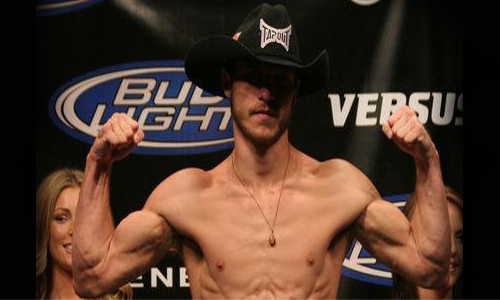 Former title contender, Donald Cerrone, has two consecutive notable wins over Paul Kelly and Vagner Rocha. The Team Jackson fighter has been lobbying to get a hometown bout for UFC 135 in Denver, but he was scheduled to fight in August. The fight between Donald Cerrone and Paul Taylor could be a big match-up of two heavy strikers in the lightweight division. However, there are no further details whether the match will be televised or not. Vagner Rocha replaces Mac Danzig at UFC 131 to face WEC lightweight champion, Donald Cerrone. Vagner Rocha agreed Tuesday night to take Mac Danzig’s place in fighting WEC lightweight champion, Donald Cerrone, at UFC 131 due to injury. The Brazilian Jiu-Jitsu black belter, Vagner Rocha, is a well experienced Bellator and Strikeforce talent with a 6-1 record. 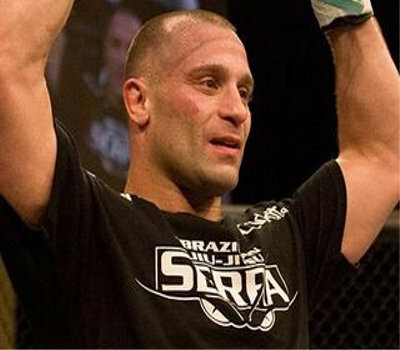 His only defeat came from Bret Bergmark via a unanimous decision at Strikeforce: Fedor vs Werdum. Due to Mac Danzig’s unexpected back-out, Vagner Rocha has few weeks left to undergo training against Donald Cerrone. It is still unknown whether Spike TV will air the event’s live telecast. The UFC 131: Junior dos Santos vs Shane Carwin will air live on pay-per-view from Rogers Arena in Vancouver on June 11. When the UFC asked Donald Cerrone if he wanted to fight Feb. 5 at UFC 126, he said yes. He didn’t know whom he would be fighting, but that didn’t matter. However, it's sure that he will take on Paul Kelly at the event. Donald Cerrone said “yes” automatically the moment he was asked if he wants to fight at UFC 126. For the former WEC fighter, it doesn’t matter who will be his opponent. But it turns out that Donald Cerrone will lock horns against Paul Kelly in a lightweight match-up. The upcoming UFC 126 bout will mark Donald Cerrone’s debut in the promotion, while Paul Kelly will carry his 5-3 professional record in the event. According to Donald Cerrone, he would like to have a shot against Cole Miller if he wins the fight. It should be remembered that his issues with Cole Miller started when the latter fought teammate Leonard Garcia last September 2007. Will Donald Cerrone be able to show how good he is in stand-up fight against Paul Kelly? To whom are you going to place your bet? Let Fighting Insider know by dropping your comments.